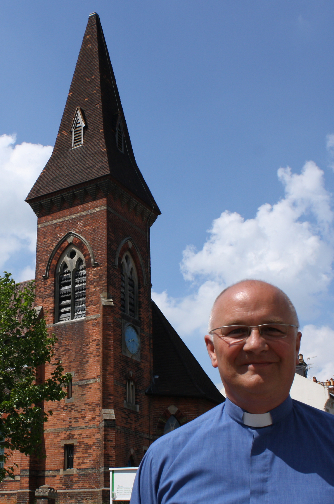 My name is Martin Poole and I am the new vicar of St Luke’s Prestonville and thought it might be a good idea to introduce myself to the community through this blog. This is my first post as a full time vicar although I’ve been a priest for 23 years helping out with various churches in my spare time while working in television as my day job. I also run an arts and spirituality group called Beyond which organises events such as the Beach Hut Advent Calendar along the seafront every December. Although I’m new to the Prestonville area I know the city very well as we’ve lived in Hove since 1999, but now we’re living in the vicarage right next door to the church so it should be easy to find me if you fancy a chat or want to see if the vicar really does want more tea! My wife Sally and our three grown up children are here as well and we’re all looking forward to getting to know the area better and meeting and making new friends. I know most people associate the word church with the building on the Old Shoreham road but actually it’s about the people who meet in it and are associated with it. I am getting to know the church members who attend on Sundays and throughout the week and I’m hoping to get to know many more people in the area as I learn about this community and your needs and wishes. The Prestonville Community Association is an important part of that and it was great to meet some members at our joint picnic on Sunday, I value this group as a forum to exchange news and ideas. Equally I know that community buildings, and in particular the church hall in Exeter street, are hot topics for people in this area and I’m very interested to hear any opinions you may have on these or any other issues that are of concern to you. I can be contacted through the church phone number on 557772 or you can email me at martin@stlukesonline.co.uk – I look forward to hearing from you. New England Greenway – Still Going Nowhere? 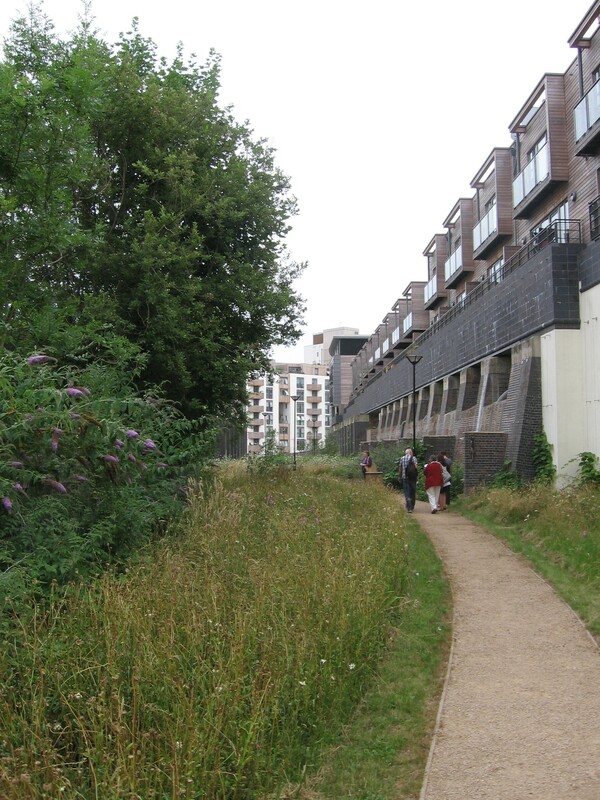 The Greenway path runs from Jurys Inn along to New England Road. It will eventually link all the way to Brighton Station. The Greenway path, planned to run from the New England railway bridges to Brighton Station, is green, pleasant, and still blocked off at the northern end. We asked if we could have a look at it, and the Council gave the PCA a tour. We found an attractive and thoughtfully designed passage running between the pillars that used to support the old engine works. With vines planted along the walls, giant sculptures of tools on the pillars recalling the site’s industrial past, places to sit among an elegant mixture of wild and garden plants, it has a natural and human quality that contrasts with much of the rest of the New England Quarter. So why isn’t it open? The planting was ready months ago – last year we were told we could expect to be able to use it in late summer or autumn. But the Council has not yet managed to reach agreement with Network Rail, which owns the land at the northern end. Over the past week new fences and some formidable spikes have gone up between the railway bridges, which may be a sign that things are moving at last. But meanwhile the Council is taking advice from its lawyers, and considering court action against Network Rail. More photos can be seen on our Facebook page.